← The purpose of art…. I decided Louie’s music room in the basement needed some more decorations. 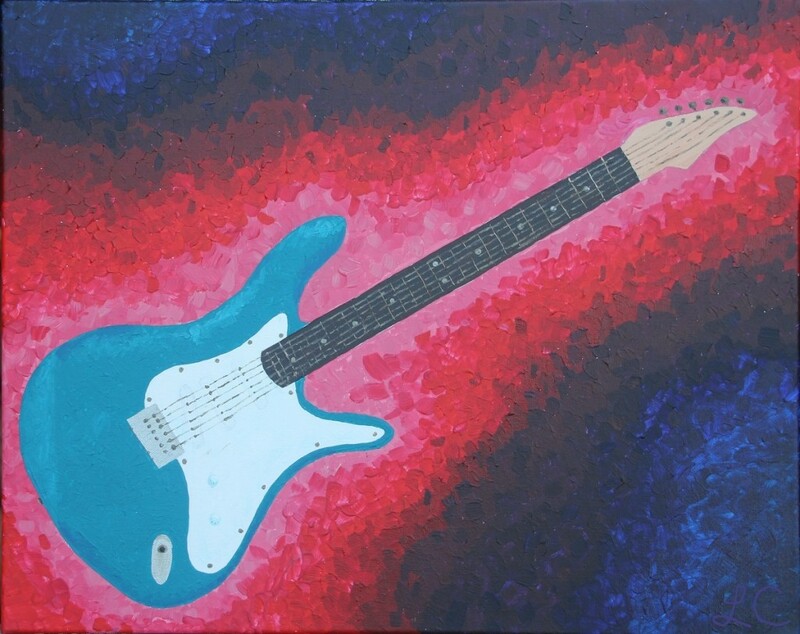 I really wanted to paint a bright, impressionist style guitar using acrylics. I haven’t use acrylics very much but I like the feel and they are easier to clean up than oils. I really enjoyed painting this one and think it turned out great! This entry was posted in Acrylics, Art. Bookmark the permalink. Looks amazing! Like a ring of fire around the guitar!